Goodie bags, dash plaques, trophies for all classes. 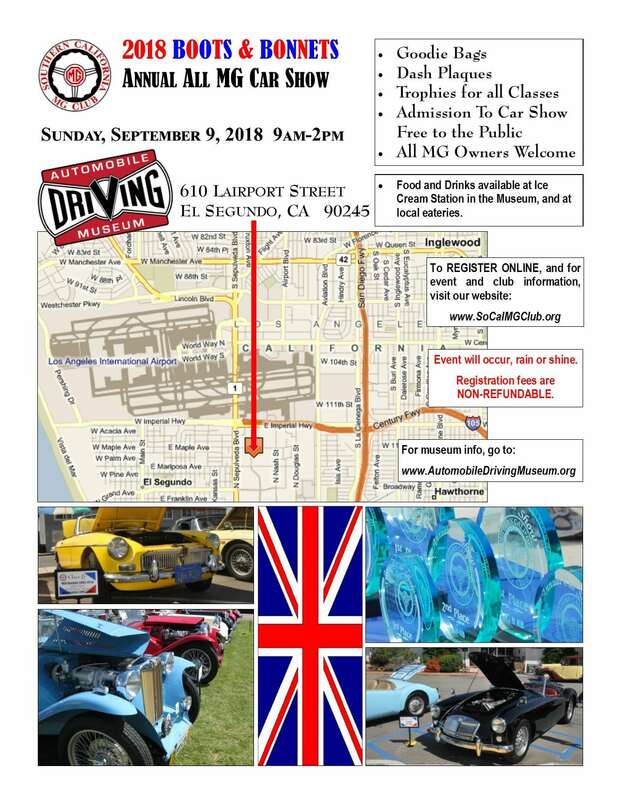 Admission to car show free to the public. Event will occur rain or shine! Registration fees are non-refundable. Visit www.socalmgclub.org to register NOW!